It’s hard to believe that almost 13 years have passed since that fateful day in 2003 when an arsonist set fire to the Beacon mill. The September 3rd fire was one of the largest in North Carolina history, eventually consuming most of the mill buildings, and marking the end of an era in Swannanoa. The mill had closed its doors the previous year, and although no one was physically injured in the blaze, the emotional toll on the community is still felt today. 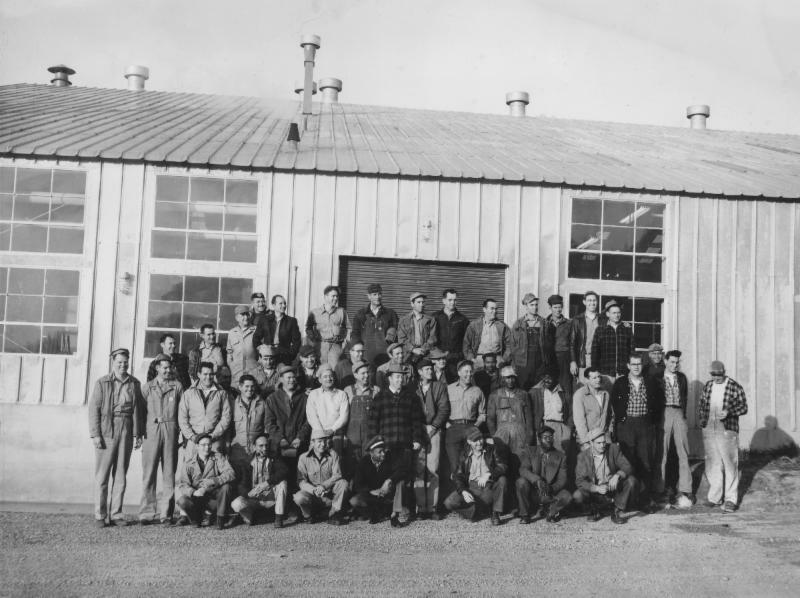 In honor of the generations of Swannanoa families who made their living at the mill, we’re sharing an historical photo (below) of Beacon employees posing outside the machine shop. 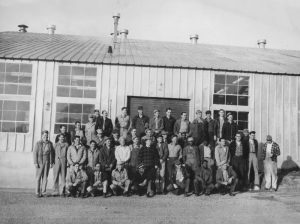 Just before the beginning of World War II, Beacon employed more than 2,200 people in Swannanoa. Photo courtesy of the Swannanoa Valley Museum.